Inspired by the South African streets where they were born, the Lee brothers have created a true original. We've been fortunate to interview some seriously creative and talented guitar builders on Guitar Hive over the last few months, but when it comes to originality, Adam and Shaun from Bohemian Guitars are unique. According to the brothers, their inspiration 'comes from the resourceful residents of the townships in South Africa who re-purpose used materials into playable instruments.' 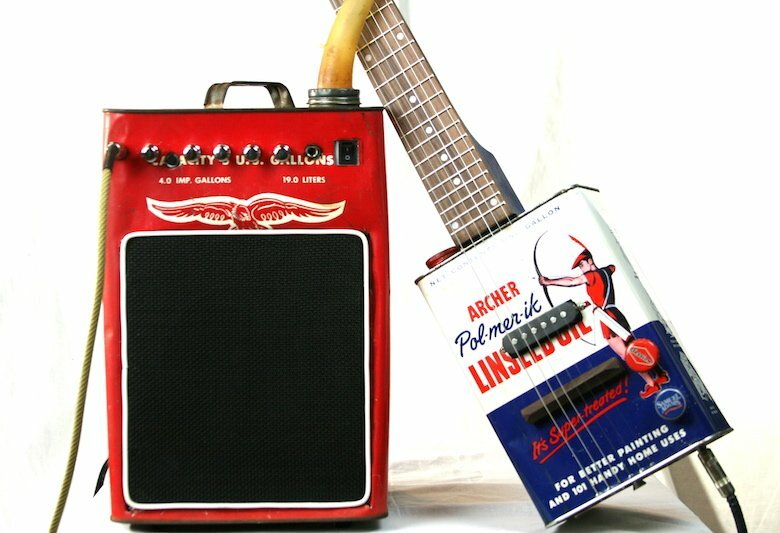 In many cases, those materials are oil cans, and so when Adam and Shaun started their own guitar company and wanted to share the sounds of the Johannesburg streets where they grew up, it was to the oil can they turned. 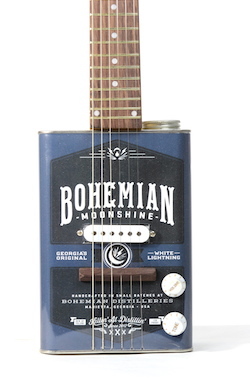 We spoke to Shaun about starting Bohemian Guitars and their plans for the future. 'My brother and I were born in South Africa and on a trip back one year I saw a street musician playing a beat up oil can guitar. It was incredible,' says Shaun enthusiastically. Why oil cans, though? There must be plenty of more obvious choices, even allowing for the influence of Johannesburg. 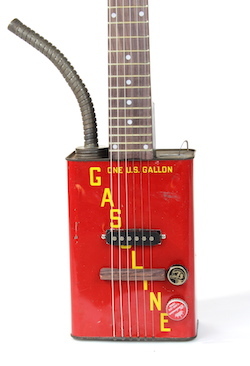 'The combination of really paying homage to the street musicians in South Africa and the unique tone that results from interaction of the pickup with the metal body made the oil can an obvious choice for us,' explains Shaun. And that all-important moment of satisfaction? 'For me the best feeling is playing a guitar for the first time that you have slaved over. I still get that "wow I made that" feeling after playing each and every guitar I build,' Shaun tells us. As you'd expect, Shaun doesn't advocate spending a small fortune on materials for your first build 'You can make an amazing, beautifully sounding guitar with a small budget. Spend the money on making it your own. Those personal touches that will enable you to make a connection with the guitar,' advises the Bohemian Guitars co-founder. We can't wait to see what the Lee brothers come up with over the next few months.